In the contest to find the next Ultimate Fighter, UFC welterweight champion Georges St-Pierre leads his team of fighters into battle against Josh Koscheck and his squad of mixed martial artists. Only one man from one team can emerge victorious. 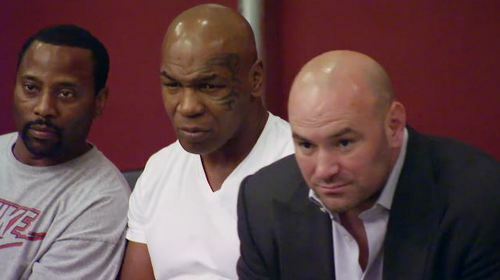 TUF 12 Ep.1 Go For it Sep 15, 2010 (40:18) After 28 lightweights arrive to the UFC training center Dana White introduces the coaches: UFC welterweight champion Georges St-Pierre and Season 1 alum Josh Koscheck. A day of fast-paced and intense elimination fights culminates with 14 winners securing a spot in the house. TUF 12 Ep.2 Well-Played Sep 22, 2010 (40:03) Fourteen lightweights move into the fighter house. 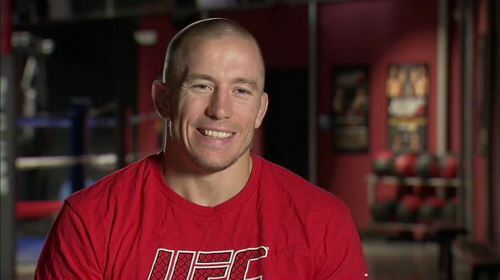 GSP tricks Koscheck at the team picks, then chooses the match-up for the first preliminary fight of the season. 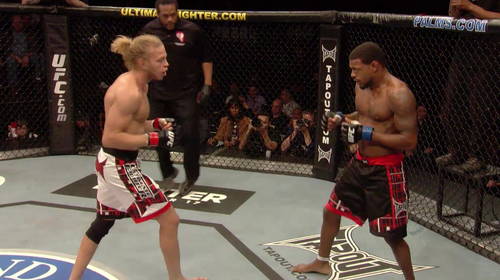 TUF 12 Ep.3 Unleash Hell Sep 29, 2010 (40:08) Alex Caceres annoys the other fighters with his bragging. An unimpressive training session forces Josh Koscheck to reprimand his squad. Legendary boxer Mike Tyson visits the gym on fight day as two more lightweights face off in the cage. 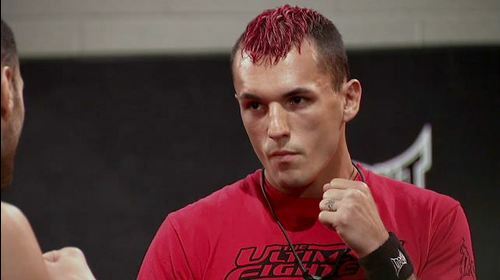 TUF 12 Ep.4 Love To Hate Oct 6, 2010 (41:37) Sevak flies into a violent rage after Alex runs his mouth yet again. 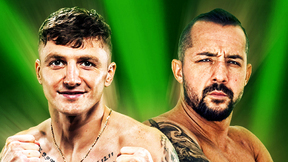 Two fighters prepare for a showdown in the Octagon, but one of them must first overcome pre-fight jitters. 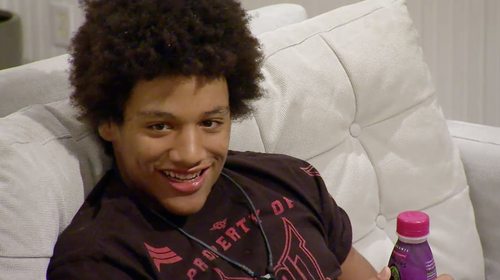 TUF 12 Ep.5 Disrespectful Oct 13, 2010 (41:41) An ill-advised prank makes Alex Caceres an outcast on his own team. Former UFC champion Chuck Liddell pays a visit to Team Koscheck. And two more lightweights face off in the Octagon. 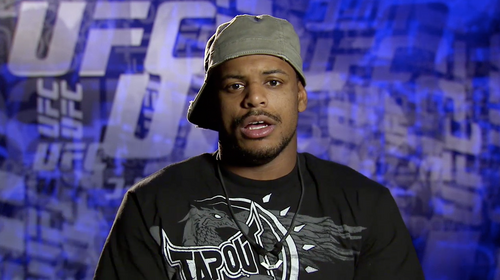 TUF 12 Ep.6 Win or Die Oct 20, 2010 (40:07) Following the team's first win Koscheck talks smack to Michael Johnson, but then gets a dose of the same medicine from Cody McKenzie. And the fates of four fighters are determined in two lightweight matchups. TUF 12 Ep.7 Second Chance Oct 27, 2010 (41:21) Koscheck and GSP step up to the plate for the Coaches Challenge. Last pick Dane Sayers and Judo champion Sako Chivitchian face off in the final preliminary fight. Then the wild card matchup is announced. TUF 12 Ep.8 KOs in a Commotion Nov 3, 2010 (40:07) What starts out as smack talk turns into violence when Kos and Team GSP Medic Brad Tate put angry hands on each other. Stevens seeks redemption for his quick loss as he takes on Wilkinson in the Wild Card fight to fill the final slot in the Quarters. TUF 12 Ep.9 Personal Nov 10, 2010 (41:29) The Quarterfinals get underway as Judo expert Sako Chivitchian of Team Koscheck takes on Team GSP's rising star, Jonathan Brookins. In the second fight skilled pupil Nam Phan faces Koscheck's trash-talking nemesis, Cody McKenzie. TUF 12 Ep.10 Spinning Tornado Nov 17, 2010 (41:22) In the last two Quarterfinal fights, Wild Card winner Aaron Wilkinson faces Team GSP elder statesman Kyle Watson. Then antagonistic teammates let their fists do the talking when Michael Johnson finally takes on Alex Caceres. And the Semifinal fights are announced. 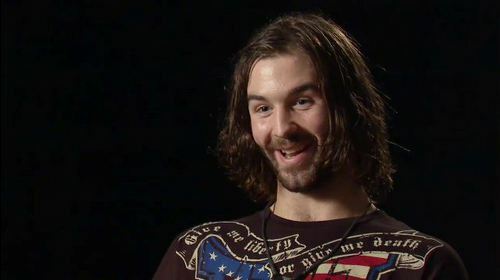 TUF 12 Ep.11 Worthy Dec 1, 2010 (41:31) Marc Stevens goes overboard when he rants to his teammates about Coach Josh Koscheck. Then in the first Semifinal fight, Team GSP teammates Jonathan Brookins and Kyle Watson face off for the first slot in the live finale. 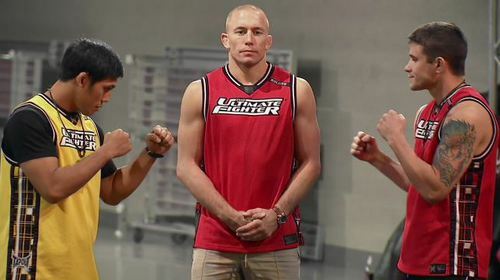 TUF 12 Ep.12 Absolute War Dec 8, 2010 (40:07) Team Koscheck pulls a prank on unpopular teammate Nam Phan Then in the last Semifinal, Phan takes on GSP first pick Michael Johnson to determine who will face Jonathan Brookins for the UFC contract. Jonathan Brookins vs. Michael Johnson TUF 12 Finale Dec 4, 2010 (25:29) Team GSP’s 1st and 2nd picks met in the lightweight season finals as explosive striker Michael “The Menace” Johnson, with his 8-4 pro record, entered the Octagon against the non-stop pressure of Jonathan Brookins and his 11-3 MMA record.